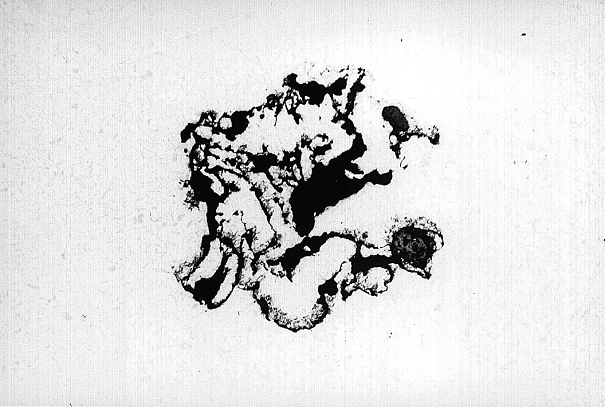 Structural defect where the oxides in the casting are present as non-metal inclusions, usually in the form of thin, film-like skins. They are insoluble and cause local interruptions in the microstructure (see also Structural anomaly). As a result, they have a negative impact on static and dynamic strength characteristics and elongation (Figs. 1 to 4). In highly vulnerable AlSi casting alloys (see also Aluminum casting, Aluminum gravity die casting alloys) in particular, the oxides have extremely fine pores (pore radius of 2 to 7.5nm), resulting in a high specific surface and capillarity with a high diffusion efficiency. 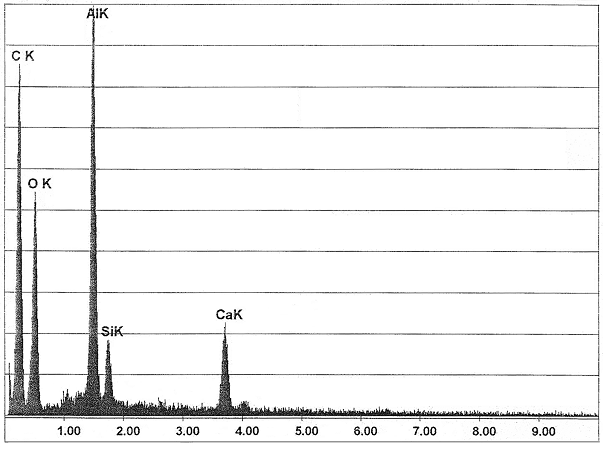 This leads to the formation of oxide agglomerates with different apparent densities. The oxide inclusions in cast steel formed by deoxidation products generally consist of MnO-Al2O3-SiO2 compounds. Depending on their composition, they differ by appearance and form. When they are rich in SiO2, they have a round shape and glass-like appearance. Under polarized light, these inclusions can show black extinction crosses. The inclusions increase in size with a rising MnO content, growing ever more heterogeneous in structure. 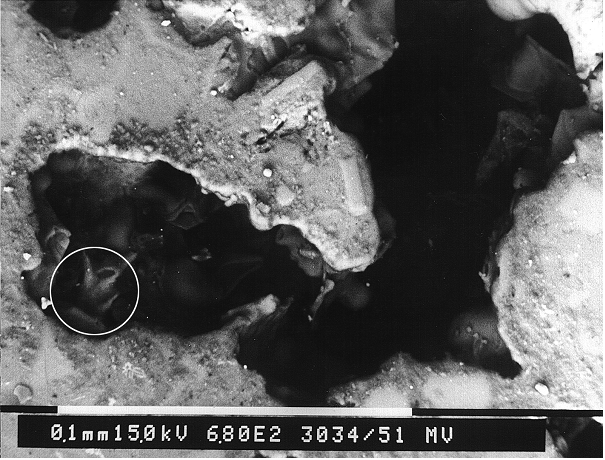 Oxides in the form of non-metal inclusions, often in connection withgas blisters or gas porosity, primarily occur in cast steel, nodular graphite cast iron (Fig. 5) and light- and heavy-metal casting. The risk of oxide formation, and thus the risk of oxide inclusions, is particularly high in aluminum casting alloys. The occurrence of this defect is independent of the molding process, it can appear in sand and gravity die castings as well as in pressure die castings. 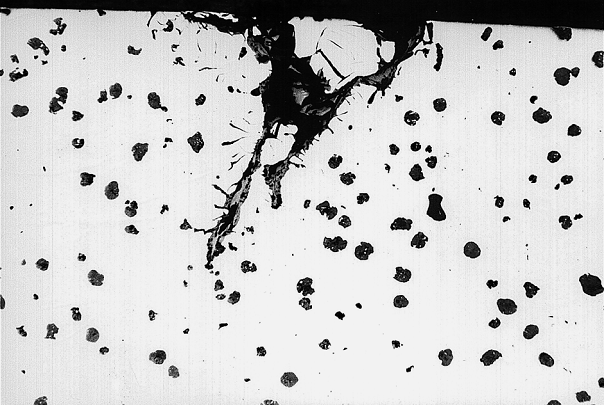 Oxide inclusions can be detected in the microstructure of metallographic specimens and can also be visible to the naked eye at the casting surface. Aluminum, silicon, magnesium and, for example, chromium and alloys containing these metals in high concentrations exhibit a particular tendency to form insoluble oxide films during melting, ladle filling and casting due to their high affinity to oxygen. In practice, the degree of oxidation with atmospheric oxygen is not only dependent on concentration and pressure but also, to a large extent, on temperature and time. This temperature and time dependence must be taken into account during melting and holding since the oxidation propensity increases rapidly as the temperature rises.This is especially true for aluminum melts with high magnesium contents (e.g. Al Mg5Si2Mn, Al Mg9). In addition to aluminum oxides, these generate spinels which prevent the formation of an air-tight self-cover as this would be possible with aluminum oxide alone. This causes atmospheric oxygen and atmospheric hydrogen to diffuse into and react with the melt.